Checking the mail is no fun anymore....it's all junk mail and bills. Until now! 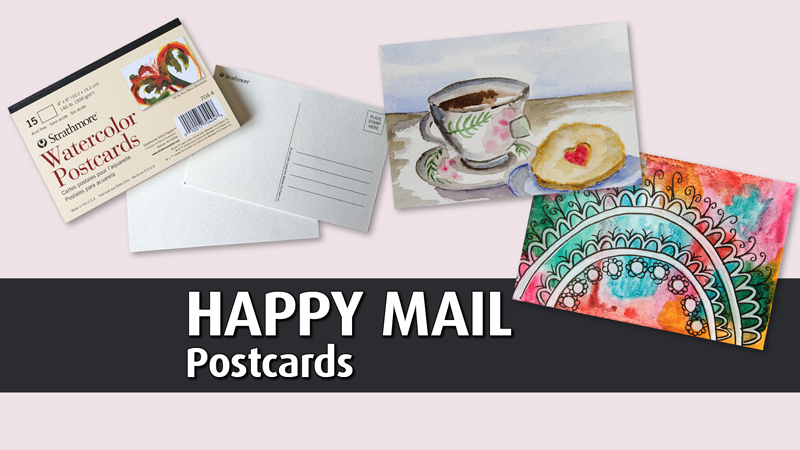 You can make mailboxes more exciting by painting beautiful watercolors on postcards and mailing them to your friends and family. You'll brighten their day when they find your works of art peeking out from a pile of boring mail, and they will feel so special to know you were thinking of them. You can even send them to yourself! Come with ideas you'd like to paint or use some of our inspiration.